New reviews will be online next week. I’m about to launch the new boardgames community site I’ve been working on – hopefully tomorrow – so that will give me an opportunity to write-up some new reviews. I had a day off from coding yesterday to attend the games day at Eclectic Games shop in Reading (UK) yesterday which featured games from Z-Man Games. It was a day tournament where you get assigned to random games against random mixtures of players. I played Grimoire, Bridge Troll, Troyes and Skyline 3000. Troyes was in the top games on the Spiel Fairplay rankings throughout the show. Fortunately, I pre-ordered my copy as it sold out quickly. 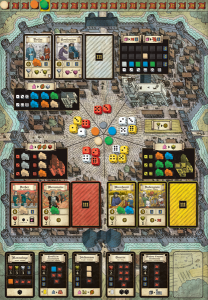 Troyes is a mixture of worker placement and dice allocation. The goal is to earn the most victory points (VPs). Players start with a few workers and one use for these is to place them in one of the 3 principal buildings: town hall (yellow), palace (red) and bishopric (white). 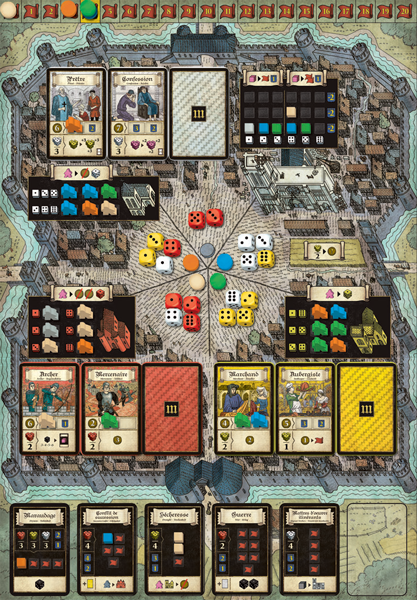 At the start of each round, players receive 1 coloured dice for each of their workers in these buildings (yellow dice for workers in the yellow building, etc). Players roll their dice and place them in their area of the town square. 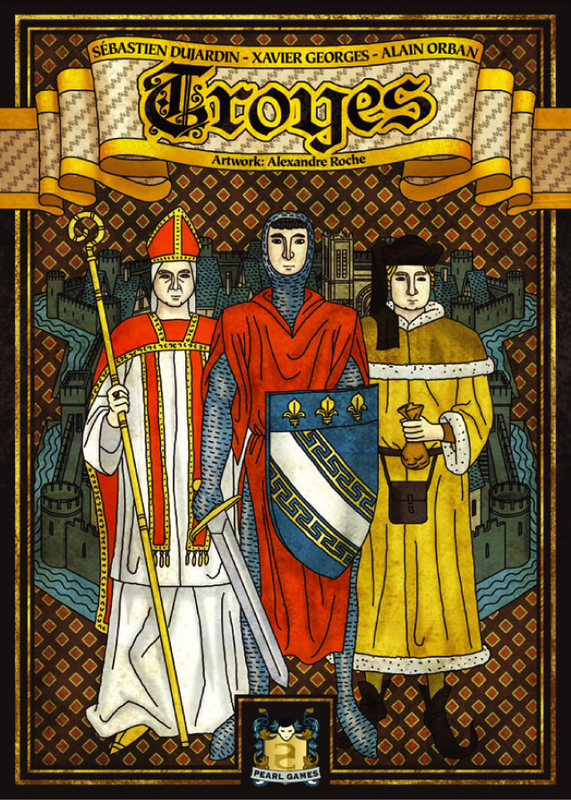 I posted about the forthcoming Troyes a week or so ago. I’ve now read the rules and it looks excellent. Players each roll dice (based on how many meeple they have in the council buildings) and these create a dice pool. Players then take turns using the dice to activate different parts of the city to gain resources and money. Players can use their own dice for free but have to pay other players to use their dice. This sounds like a fresh addition to worker placement and I’m very keen to play it. So much so, I’ve pre-ordered it. 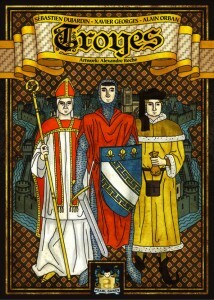 Unfortunately for me, Troyes combines together two game design ideas that I’ve been playing with in my own prototypes. But, hey ho, that’s the way it often goes and I’m really looking forwards to playing Troyes.